After attaining the highest rank of yokozuna, Takashi took to the world to find the meaning of life. After some time he ended up in Metro City, and feels he is close to finding the meaning. Takashi’s abilities are a defensive suite. 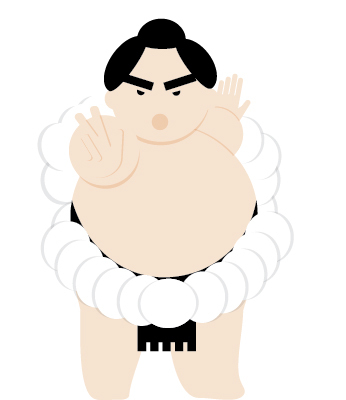 Way of the Sumo will put the kibosh on pesky opponents planning on influencing Takashi after the dice roll. This ability is not meant to stop movement from deeds but most people interpret it that way, so the official stance is being considered. Heavy Set is a natural foil for all players and can slow down the pacing of the game if your trying to mount a comeback, be careful though as overshooting becomes less likely with that -1 dice roll. Cannot be stopped for any reason, or moved without a dice roll. This was the first racer card designed, and it shows, the language is all over the place, and with some of the new mechanics it’s starting the add a lot of weird exceptions. We don’t want that! Maybe just cleaning up the language might help, or making the exceptions clear upfront.